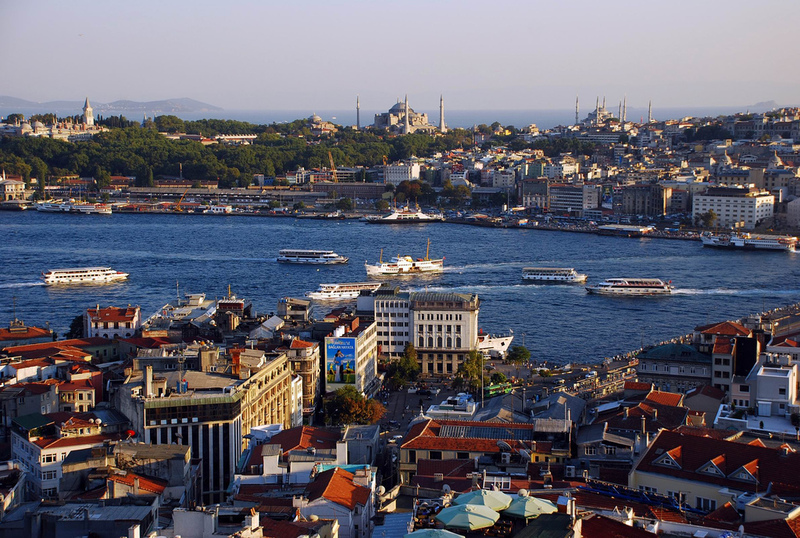 The view that awaits us from atop Galata Tower. Photo credit: Tania Ho. Climb to the top of the Galata Tower — This medieval stone tower dominates the skyline and offers a panoramic vista of Istanbul’s historic peninsula. Stroll through the Egyptian Spice Market — This Ottoman-era marketplace sells spices, dried herbs, nuts, dried fruits, and trinkets. Update: Done. So many smells! Check out the Harem of Topkapı Palace — This private area of long hallways, hundreds of rooms, and a smattering of courtyards was where the sultan’s mother, siblings, concubines (i.e., kidnapped girls presented to the sultan as gifts), and eunuchs (castrated men employed as harem guards) lived. And as long as we’ll be at the palace, it’s always enjoyable (we’ve been here before) to stroll the sumptuous grounds and gawk at the bling (Emeralds the size of kiwis! Everyday household items encrusted in gold and diamonds!). Update: Done. Visit the Dolmabahçe Palace — The sultan’s palace on the Bosphorus symbolizes the magnificence and decadence of the 19th-century Ottoman Empire. 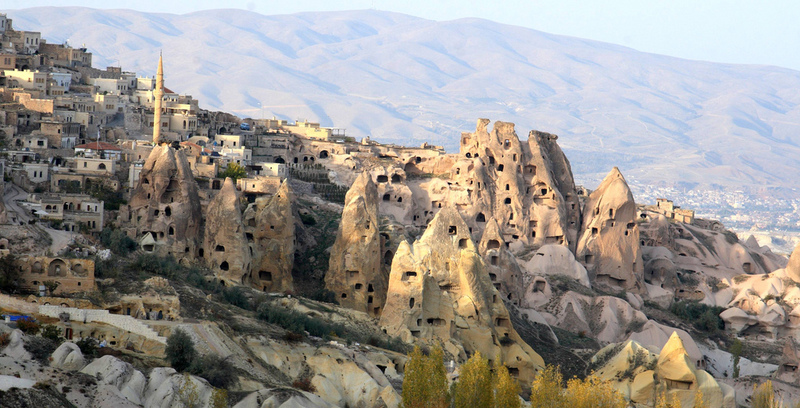 Enjoy a long weekend in Cappadocia — An area in central Turkey best known for its unique moon-like landscape, underground cities, cave churches, and houses carved in the rocks. If you’re on Pinterest, you’ve probably seen a photo of this magical land, with dozens of brilliantly colored hot air balloons floating above. 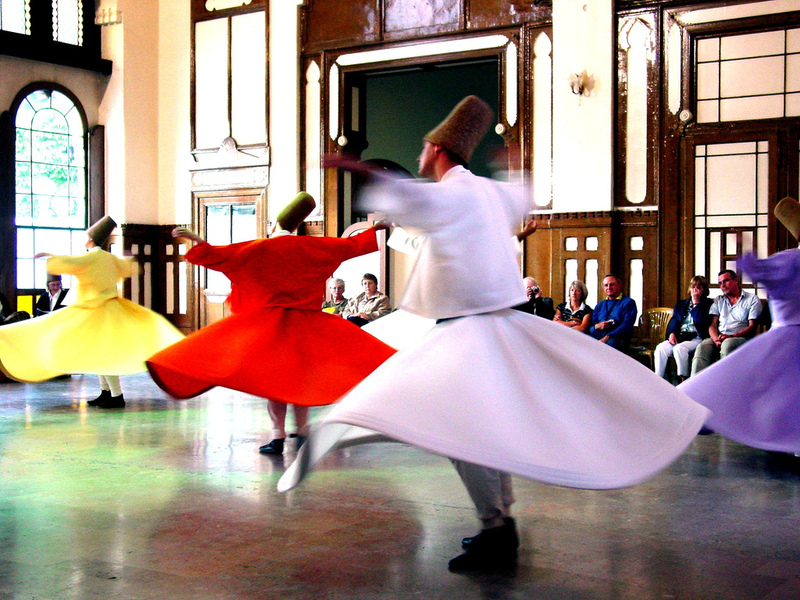 Catch a Whirling Dervishes performance — Wearing long, flowing robes and tall hats, the Whirling Dervishes twirl to live music played on ancient instruments, a form of worship said to bring them closer to god. Go to a soccer game — Istanbul is home to the three of Turkey’s biggest teams: Galatasaray (The Lions), Fenerbahçe (The Yellow Canaries), and Beşiktaş (The Eagles). 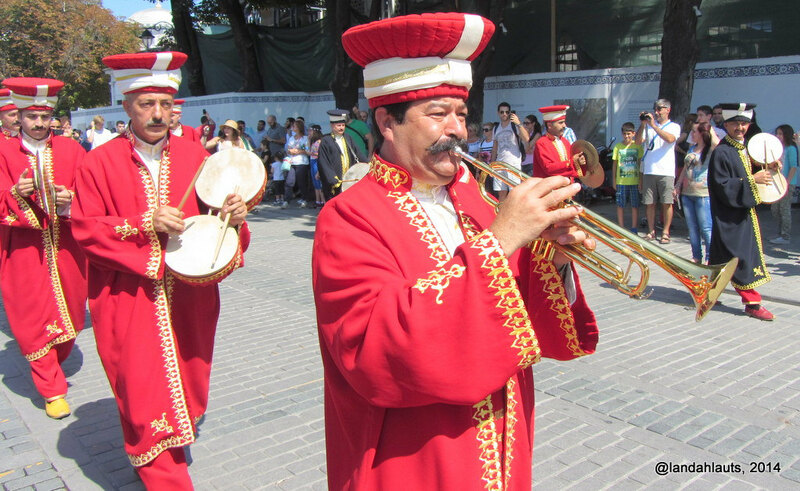 Watch the Mehter Band, the world’s oldest military band — Because who wouldn’t want to see a bunch of dudes with bushy mustaches and cool hats play music that’s designed to instill fear in their enemies? (I think there’s a hipster joke in here somewhere?). Try a traditional Turkish breakfast — Update: Done. Can’t get enough of it. The Mehter Band. Photo credit: Landahlauts. Listen to the sunset call to prayer outside Süleymaniye Mosque (and go inside too) — One of the grandest and most beautiful Ottoman Mosques, it sits atop the Old City and was designed by Mimar Sinan, the most famous and talented of all imperial architects. Experience Turkey’s version of the Super Bowl — Update: Watched it! Take a day trip to see some nature — Perhaps we go to the Black Sea or the Princes Islands, a group of nine islands off the coast of Istanbul in the Marmara Sea. Both are good day trips to escape the crowd, noise, and traffic of the city. 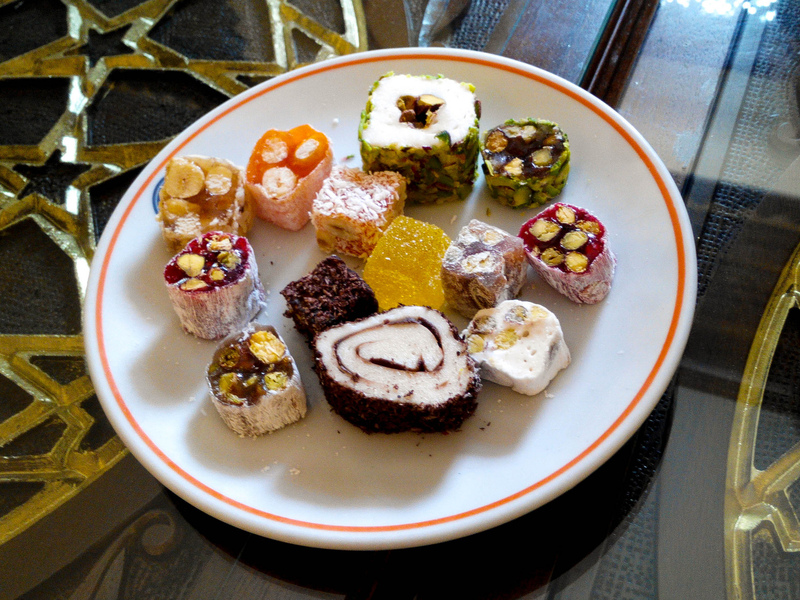 Sample some Turkish desserts — If I can ever pry myself away from baklava to try something new, I’d opt for Turkish delight (an iconic candy that’s sort of like a giant, homemade jelly bean), dondurma (a thicker, chewier ice-cream), and/or Kunefe (a sweet and savory levantine cheese pastry). I’ll avoid the Tavukgogsu because why would you ruin dessert by adding chicken?! Update: Turkish delight is no baklava, but it’s pretty darn tasty. Find and play bar trivia — This is a favorite activity back home with friends and family members. There’s no Green Mill trivia night over here, but it looks like there are a few options to play in English. Update: We’ve played three times now, teaming up with others (including Turks, a Brit, a Dane, and an Iranian) who needed a few more players, and got first place once and second place twice! Go back to some old favorites — Even though we saw Hagia Sophia, Chora (which includes a mandatory trip next door to Asitane for cinnamon-currant-pine-nut hummus), Grand Bazaar, Basilica Cistern, and the Blue Mosque during our last trip here a few years back, I definitely want to go again. See Turkish oil wrestling — The Turkish national sport is also called “grease wrestling” because the wrestlers douse themselves with olive oil. Then things start to get weird. Ortaköy. Photo credit: Carlos Rivera. Relax at an urban park — Sadly, parks are hard to come by in Istanbul but there are a few options including Gülhane Park and Taksim’s now-infamous Gezi Park. Check out a farmer’s market — I’m told there’s a good one on Saturdays near the Galata Tower. 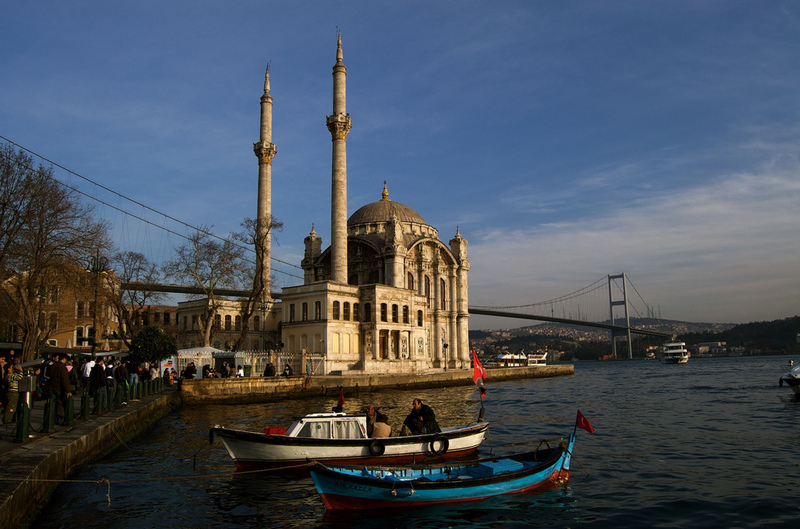 Hang out in Ortaköy — A chic, artsy neighborhood just north of us that’s home to cafes, shops, and the very photogenic Ortaköy Mosque, which sits on the shores of the Bosphorus. Michelle and John- if you go to Cappadocia go on a hot air balloon ride. We went on a sunrise hot air balloon ride in Arizona last month and it was AMAZING! Our Balloon pilot had spent a few years ballooning in Cappadocia and highly recommended visiting and going up in a balloon there. Oooh, that sounds amazing! Thanks for the tip!